Section 1. The name of the organization shall be Public Relations Student Society of America (PRSSA). Section 2. The purpose of this organization is to provide students with hands-on experience in public relations, provide communications majors the opportunity to network with professionals in the different fields of communications, to promote the PRSA Code of Ethics and diversity initiatives, and to provide students with the experience necessary to excel in the field of public relations. Section 1. Membership in the organization shall be open to all those regularly-enrolled California State University, Fullerton students who are interested in membership. There shall be no other requirements for admission to regular membership. Each regular member has equal rights and privileges. Section 2. Membership in this organization shall not be denied to any student at California State University, Fullerton on the basis of race, religion, national origin, ethnicity, color, age, gender, marital status, citizenship, sexual orientation or disability. Section 3. There shall be a minimum of five (5) CSU Fullerton students who are currently enrolled in at least one class with a maximum of 20 percent of the members who are not CSU Fullerton students. Section 4. There shall be two types of membership in the organization: voting and associate. Section 5. Voting membership is limited to regularly enrolled (non-extended education) students at California State University, Fullerton. Section 6. Students who have met the membership requirements and have paid the necessary National and Chapter dues shall be eligible for participation in all PRSSA activities at the national and local levels. Section 7. Any member may be suspended or expelled from the organization for conduct obviously contrary to the Constitution of the organization, for conduct that impairs the rights of the members to enjoy the benefits of the organization, or any violations of the Student Code of Conduct. The offense must be in writing and submitted by an organization member. After the offense is submitted to the organization, the offending member has the right to a 24-hour notice of a hearing before their peers at a regular meeting and the offending member may be suspended or expelled by a 2/3 affirmative vote of the voting members present. Dismissed members may not receive a reimbursement for their membership. Section 8. The membership of PRSSA shall be limited to those students who pay annual national and local dues. Section 9. The California State University, Fullerton Robert E. Rayfield Chapter of PRSSA has a zero tolerance policy of sexual harassment. A reported member will be subjected to an investigation. If found guilty, they will be expelled from the Chapter with no guarantee of reimbursement and are no longer eligible to receive PRSSA benefits. Section 1. The elected officers of the organization shall be the President, Vice President, VP of Finance (Treasurer), VPs of Professional Development, Digital Communications, Outreach, Administration, University, Relations, Sponsorship and Events. The term of office will be one year beginning May 1st. Clause 1. The President shall preside at all meetings of the organization. They shall be the official spokesperson of the organization, representing the policies, views and opinions of the organization in its relations with the campus and community at large. They have further powers and duties as prescribed by the organization. Clause 2. The Vice President presides at the organization meetings in the absence of the President. They perform all duties assigned by the President. They notify all members of organization meetings. The Vice President is responsible for maintaining member relations. The Vice President updates members on their benefits, such as internships and special opportunities. The Vice President also serves as interim for other executive board members when they are unavailable. Clause 3. The Vice President of Finance (Treasurer) handles all financial affairs and budgeting of the organization. They maintain AS Agency Accounts in the organization’s name, which requires signatures of the Treasurer, President and Advisor. All disbursements for more than $150 require a majority vote approval of the organization. The VP of Finance is responsible for collecting Chapter dues from members, creating and sharing the annual budget, and processing reimbursements weekly. Clause 4. The Vice President of Administration takes minutes at all meetings of the organization, files minutes and submits required copies to all organization members. They are responsible for all organization correspondence and keep copies of all correspondence on file. They act as historian and maintain all records of the organization. The VP of Administration is responsible but not limited to the overall management of membership information, databases and documents for the Chapter. They serve to record and keep track of all executive board minutes; assist all other executive board members in their positions and duties when needed; and provide overall internal support for the Chapter’s growth. Clause 6. The Vice President of Professional Development is responsible for researching, contacting, and booking guest speakers while also ensuring speaker hospitality for all Chapter events. VP must be comfortable managing logistics of biweekly meetings including but not limited to: scripts, presentation materials, equipment rentals, moderating panels and content creation for all meetings. The VP of Professional Development will work closely with the parent PRSA chapter to coordinate membership of graduating seniors. communication amongst the Chapter, which includes the creation of fliers, social media posts, updating the website, photographic members at events and other required activities listed or presented by the Constitution and the President. each semester and serving as a primary contact for potential members. This includes organizing tabling events and ordering outreach material. The outreach director also handles any outside outreaching events such as tabeling and pitching PRSSA to high schools and community colleges. Other responsibilities include preparing blog posts, keeping materials organized, and pitching PRSSA to different classes and organizations. outside of the bi-weekly meetings for the Chapter. Responsibilities consist of organizing logistics for mixers, agency tours, workshops, boot camps and any other event held. In the event of a board vote to bid for a Regional Conference, the VP of Events must also serve as the primary Chair in the application process and execution if the CSUF Chapter is selected. Logistics of events include venue, theme, decor, program, food, etc. and maintain sponsors for the Chapter throughout the duration of the academic year. The VP Sponsorship is also responsible for researching and executing fundraising opportunities for the Chapter. Sponsorship Director maintains consistent conversation with sponsors and reaches out for possible sponsors. In addition, they come up with different levels of sponsorship as well as donations. the Chapter and the College of Communications. The University Relations Director serves as the CICC representative for PRSSA and attends weekly CICC meetings. President if he/she has another year at the university level. If the current President decides he/she wants to run for a second-term as President, this position can remain vacant. The Immediate Past President guides the President Elect on any questions or concerns. The Immediate Past President shall function as an adviser to the National President and work on special projects. The Immediate Past President shall perform all duties of the National President if the President is absent or unable to perform his or her duties. Clause 1. The President and Treasurer of the student organization are required to meet the minimum requirements established for Minor Representative Student Officers by the CSU Chancellor’s Office. Officers must be matriculated and enrolled (non-extended education) at Cal State Fullerton. Officers must maintain a minimum cumulative 2.0 grade point average each term. Officers must be in good standing and must not be on probation of any kind. Undergraduates are required to earn six semester units per term while holding office. Graduate and credential students must earn three semester units per term while holding office. Undergraduate officers are allowed to earn a maximum of 150 semester units or 125 percent of the units required for a specific baccalaureate degree objective, whichever is greater. Graduate and credential officers are allowed to earn a maximum of 50 semester units or 167 percent of the units required for the graduate credential objective, whichever is greater. Section 4. In the event an elected officer is unable to fulfill their term of office, there will be a “Special Election.” Any eligible member, including those already holding office, can be nominated for a vacated officer position. Section 1. Regular meetings are scheduled at least bi-monthly during the academic year. Section 2. Special meetings are called by any Executive Board member. All members must be given a minimum of 48 hours (2 working days) prior to the Special Meeting time. Section 3. Business cannot be conducted unless a quorum of the membership is present. Quorum for this organization is defined as 51% of the voting membership. Section 1. Officers are elected once every academic year. Elections are held at the beginning of April and the current President must update Student Life and Leadership and PRSSA National on the incoming board members. Section 2. At least one week’s notice will be provided for any meeting at which an election is held. Section 3. The voting period will be open for at least one event. Section 4. Votes will be cast by secret ballot or via the TitanLink elections feature and counted by an unbiased committee. Section 5. Results of Elections must be noted in the minutes and made available to the student organization members no later than 1 week post-election. Section 6. A candidate must receive a majority of the votes or if necessary runoff elections will be held. Section 7. Petition by 1/3 of the total number of members is cause for a recall election. The offense must be stated in writing and submitted by a member. After the offense is submitted to the organization, the offending officer has the right to a 48-hour notice of a hearing. A recall election will be conducted as a “Special Election”. Recall requires an affirmative vote of 2/3 of the total voting membership. Section 2. Any non-auxiliary employee on a minimum half time basis employed by CSU Fullerton can serve as a non-voting advisor to this organization. Section 3. The advisor(s) will serve a term of one academic year and is selected during registration of the organization pending approval by the Office of Student Life & Leadership. Section 4. The advisor(s) may be removed by a 2/3 vote of the membership at a regularly scheduled organization meeting or at the discretion of the University. Section 5. A staff member from the Office of Student Life & Leadership or a School Based Assistant Dean may be assigned to work with this organization to assist the advisor(s) and the organization. Section 1. The membership of PRSSA shall be limited to those students who pay annual national and local dues. National dues in the amount of $55 and dues in the amount of $25 to total $80 shall be collected from each member. On payment of such dues, a student is entitled to one full year’s membership, extending from November 1 to October 31 of the following year. Section 2. All money must be deposited into an Associated Students, Incorporated Accounting Office agency account. The University does not recognize off-campus bank accounts for student organizations at CSU Fullerton unless the organization is an entity of a nationally recognized 501(c)(3), and has submitted proof of that status to the University upon registration. Section 1. Proposed constitutional amendment or changes will be presented, in writing, to the organization one meeting before this amendment is voted on. Section 2. Approval by 2/3 of the Executive Board will pass this proposed amendment. The amendment is immediately effective unless otherwise stipulated in the proposal. Section 3. A copy of this constitution/by-laws and/or amendments to this constitution must be filed in the Office of Student Life & Leadership at CSU Fullerton every year during registration or within 30 days after any substantive change or amendment. Section 4. The University reserves the right to make any changes to the Constitution to meet any requirements set by the CSU Chancellor’s Office. Section 1. In the event the Public Relations Student Society of America should become defunct for a period of more than 2 years, all assets will be turned over to the CSU Fullerton Associated Students, Inc., to be used to promote student programming on campus. Section 1. This organization is affiliated with the Public Relations Student Society of America. Section 2. 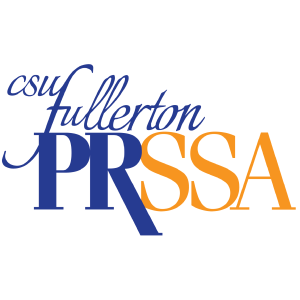 A copy of any constitution/by-laws of PRSSA must be filed in the Office of Student Life and Leadership at CSU Fullerton. Section 1. The Public Relations Student Society of America accepts a voting system based on a majority, in which a majority of all present members must prevail for a motion to pass. Section 2. Any issue not directly written in this document will be resolved by referring to the voting system.